The Leica SL is a superb camera, heavy though and with the zoom lens even heavier . 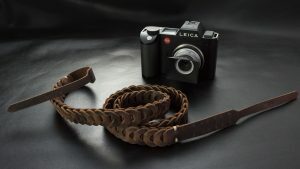 The strap lugs are in different position and it cant receive split rings like the Leica M cameras . 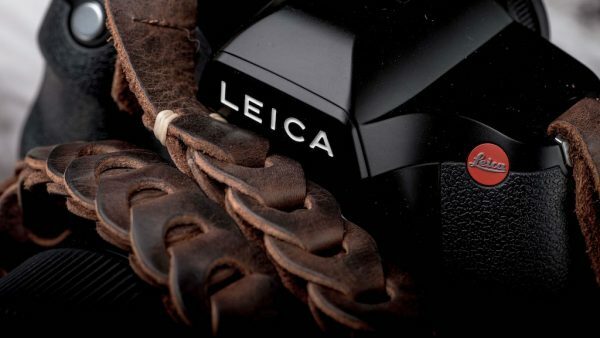 The same goes for the Leica S series, its of superb quality and very heavy. The straps designed for these cameras, have to be sturdy and durable and with no metal or plastic connectors or regulators on it, as there is danger of injuring the body of the SL and the Leica S accordingly. 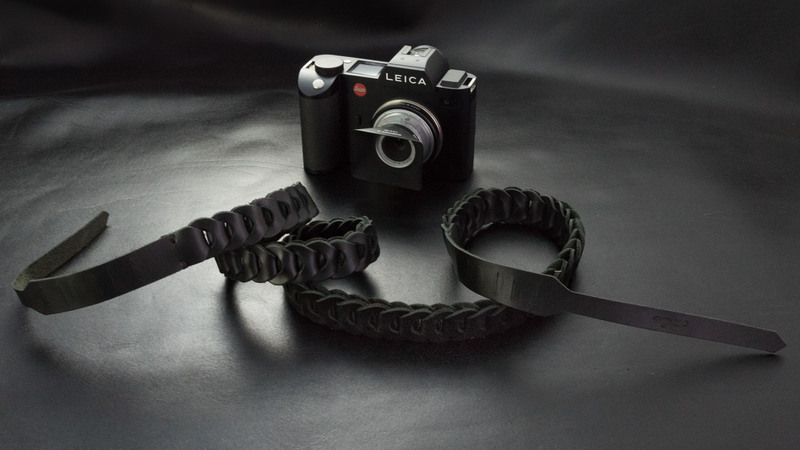 The Rock n Roll SL Black strap for Leica SL and Leica S, works because of its structure , as a shock absorber . Most of our clients underline that! “Extremely wonderful. Excellent product! Very cool Very comfortable.” kohama m.
“Most comfortable strap ever! Distributes the weight of a heavy camera for maximum comfort. Soft leather loops conform to neck and shoulder, don’t slip and don’t abrade. Always get compliments on the RnR strap. . . Now have one for each of my cameras! 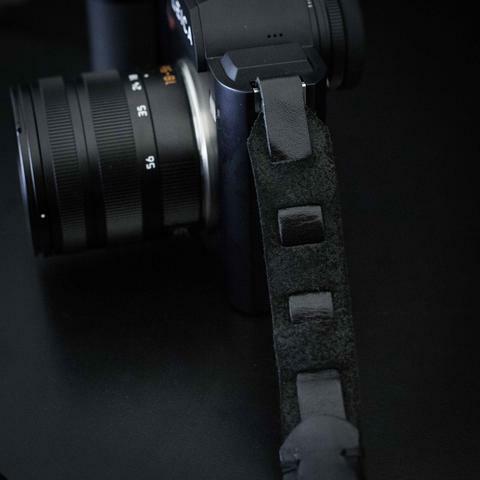 “Jonathan P.
Jonathan P. says: Most comfortable strap ever! Distributes the weight of a heavy camera for maximum comfort. Soft leather loops conform to neck and shoulder, don’t slip and don’t abrade. Always get compliments on the RnR strap. . . Now have one for each of my cameras! “Unique Strap. Attractive, high quality, extremely well made strap. 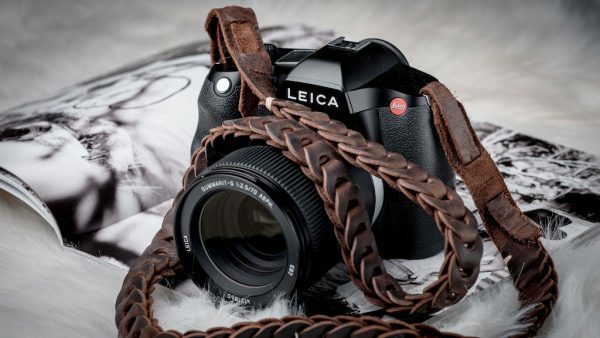 Has a natural spring like cushion action by the nature of its leather weave.” Frank V.
Our first strap for the Leica SL is a continuation of our Rock n Roll Strap collection, but made with different leather and it consists only from leather parts, NO PLASTIC and NO METAL on it! It comes in Black and Red leather and two lengths, 100cm and 125 cm. 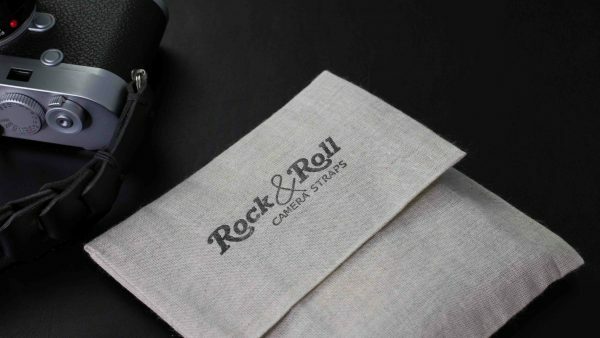 There are also some special editions of the Rock n Roll SL strap made with pull up leather (leather with special wax treatment)! It ships in a Linen Folio. Initially, I bought the 100cm version to use as a shoulder strap for my SL. However, I found that the strap slides off the shoulder too easily. I exchanged it for the 125cm version, which I wear across my body sling-style. Now I am very happy with my choice. 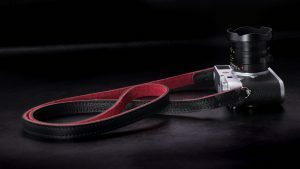 The strap is very comfortable, and its natural stretchiness seems to reduce the weight of the camera. I have gotten accustomed to the cross-body style and now prefer it to carrying the camera on my shoulder or neck. Also, I have been surprised by the number of compliments that I have gotten on the beauty of the strap. This is from non-photographers who evidently are attuned to fashion. They pay no attention to the gorgeous camera that is attached to the strap. 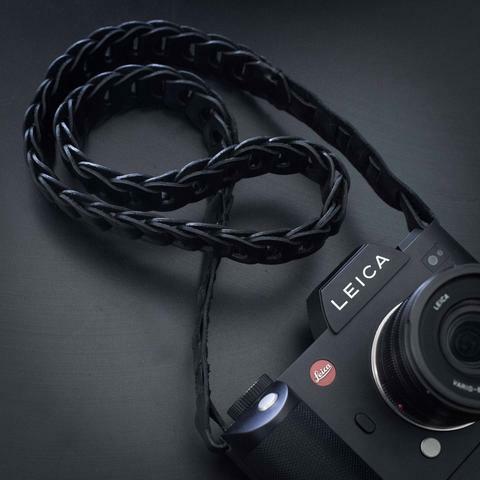 Love the Rock and Roll strap for the Leica SL . 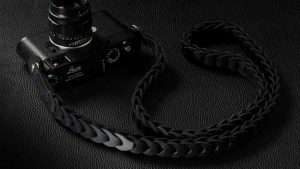 The quality of the camera strap is superb !!! And it really adds to the looks and appealof the camera. I just bought my second rock and roll strap. First gave it 4 stars because of a bit of a struggle threading it through itself but that’s what keeps it secure. Much easier threading using some needle tip players this time. This is the most comfortable and best strap I’ve ever used and I’ve tried many. Excellent product! Very cool Very comfortable. The strap is beautiful. It supports the Leica SL with 24-90 lens very comfortably. I bought the 125 cm (about 50″). It’s the perfect length around my neck. The length works well when I wear it cross-shoulder but I would like an option with another 4 to 6 inches, which would be more more comfortable cross-shoulder for me. 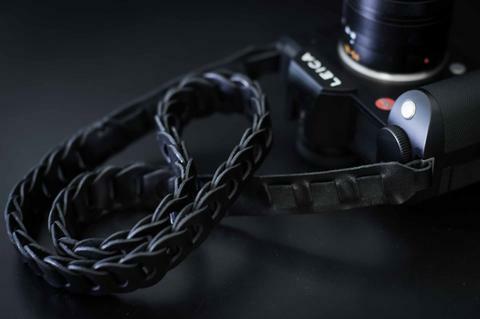 As an experiment, I put PeakDesign Anchor Links on the end of the strap (perfect fit) so now I have an option that connects/disconnects easily to all of my other cameras with PeakDesign anchors. Works great so far, on the SL and other cameras. Excellent! Everyone involved was great! I ordered another strap. Beautiful product! Nice Strap Great design Look cool. I love it. It’s smooth and feel comfortable while taking pictures. I highy recommend the SL Rock n Roll strap! Elvis is the best too!